The courageous Marcelas Owens continues to blaze trails. For a child who had become an outspoken advocate for access to healthcare in the wake of personal tragedy, this was an iconic moment. 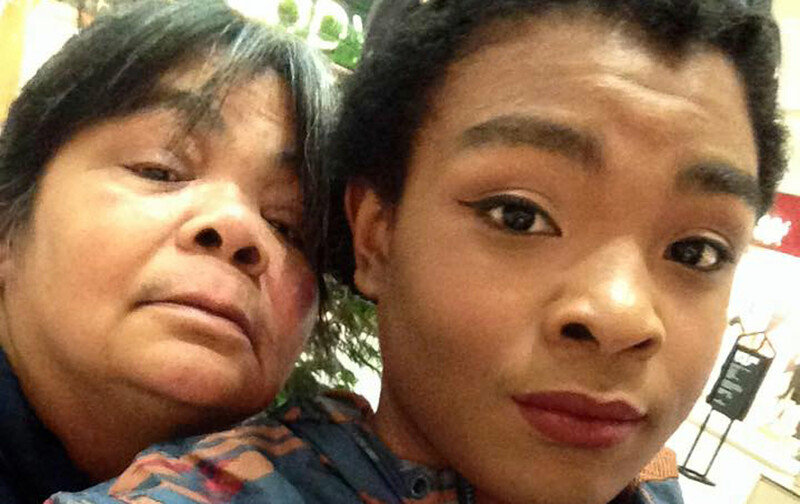 Last week, Marcelas Owens, now 17 years old, took yet another bold stand by publicly coming out as transgender. A year ago, my Senate office sponsored Marcelas as a page in the Washington State Legislature. I had gotten to know both Marcelas and her grandmother, Gina Owens, over the previous eight years, fighting together for single-payer healthcare, immigration reform, and racial and economic justice. As a page, Marcelas was wide-eyed and humble, addressing the Democratic caucus briefly, answering questions about her interactions with the president, and talking with me about her intentions of working in politics and making the world a better place. I cried with Gina last week when she shared this story with me, about how her granddaughter spoke of finally feeling free, open to a life and future where she no longer has to hide who she really is. And I told Marcelas how proud I was of her and her courage. She was nervous about coming out, in part because of the role she played for such a large audience. But she realized, too, that she needed to move beyond people’s vision of her as just the Obamacare Kid. While grateful for the opportunities it has given her, she knows she is so much more than that. Marcelas may not know it, but she’s blazing trails for so many transgender people still searching for clarity—some of them young people like herself, some of them people of color, and most of them people she’ll never get a chance to know. If history is any kind of guide, the path forward for her and her family will be one of both reward and hardship. From healthcare to employment, from personal safety to privacy, the range and complexity of challenges facing transgender people, who represent about 0.3 percent of the American population, makes theirs one of the top emerging civil-rights movements of our time. Being a person of color adds an even greater level of adversity because of cultural barriers and systematic racism. For many transgender people, trying to reconcile the gender the world sees on the outside with what they feel on the inside can start as young as 2 or 3, around the time children start to become self-aware. Today there are far more resources available to them in their search for answers than there were a generation ago. And increasingly we see more transgender people stepping onto the national stage, sharing their stories and giving voice to a community that has existed in silence and in the shadows for far too long. But there’s so much more work that needs to be done. That was obvious last month during a Washington State Senate debate on a bill seeking to reverse an existing provision allowing transgender people to use a bathroom consistent with their gender identity. Demonstrators poured into Olympia to protest this bill. And the statements made on the floor by my Senate colleagues also showed the deep need for education and understanding, rather than stereotypes and fear. I recognize that this is new territory for many of us. As the founder of Washington State’s largest immigrant advocacy organization, OneAmerica, and a longtime activist for the rights of immigrants and communities of color, I see this as one of the most important civil rights issues of our time. OneAmerica worked over the course of a decade to bring the movement of immigrants and communities of color together with the movement for marriage equality in Washington. We recognized then as we do now that the silos we put up between us aren’t real and that we need to take leadership in building the necessary bridges to bring our movements together. Marcelas is not transgender on Monday, black on Tuesday, and an activist on Wednesday. She is all of those things, all of the time. Gays and lesbians gained rights in this country though activism and organizing, creating political space and demanding change so that lawmakers and justices could do what they knew was right. That organizing allowed Americans to get to know gays and lesbians as our daughters and sons, our neighbors, and our friends. The same thing must happen in our country around transgender rights. I believe America will once again do the right thing in recognizing that widespread discrimination against transgender people is unacceptable, particularly as more courageous people like Marcelas tell their stories and require us all to understand the fear, pain, and isolation they live with every day we fail to acknowledge their gender identity. As a young woman of color now on this path, I know Marcelas will be able to fully express the wholeness of who she is and discover new tools to address the challenges that lie ahead. She has already proven that she’s up to the task.